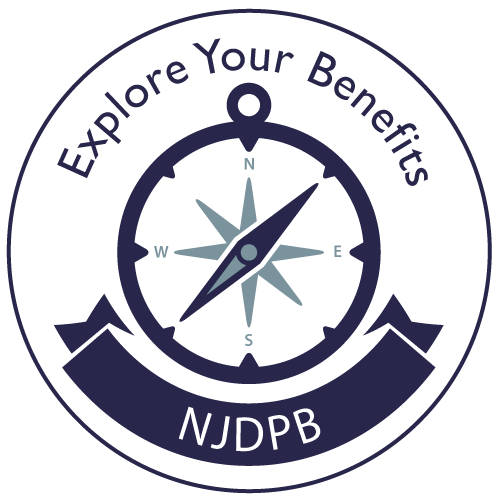 Of the major retirement systems administered by the New Jersey Division of Pensions & Benefits (NJDPB), seven are categorized as defined benefit plans and two as defined contribution plans. investment earnings on system assets. Employees contribute to these plans at a fixed rate that varies by system. The rates of employer contributions are variable from year to year. The determination of an employer's annual contribution to this type of plan is a complex procedure in which the system actuary plays a vital role. Essentially, the employer is responsible for filling the gap between the funds needed to meet the retirement system obligations and those available from employee contributions and investment earnings on system assets. Each year, the actuary issues a comprehensive valuation report for each of the State's defined benefit plans. The report shows the financial condition of the plan as of the valuation date and gives the basis for determining the appropriations payable by the participating employers for the plan year. This report is generated using a set of actuarial assumptions to forecast the pension systems' liabilities and the employers' annual funding requirement. These assumptions, which cover such things as mortality, expected salary increases, and rates of retirement and withdrawal from the system, are approved by the Boards of Trustees and updated every three years based on actual system experience. According to State law, annual employer contributions to the State's defined benefit plans are determined using the projected unit credit actuarial cost method. The funding objective is to accumulate enough assets over a member's active service life to sufficiently fund the total retirement benefits due a member at the time of retirement. The employers' annual normal cost represents the present value of benefits that have accrued on behalf of the members during the valuation year. In addition to an annual normal cost, an employer may also be required to make payments toward the pension system's unfunded actuarial liability. An employer accrued liability contribution consists of the employer's share of the pension system's total unfunded actuarial liability amortized over a 30 to 40 year period. The unfunded actuarial liability of a retirement system at any time is the excess of the system's actuarial liability over the value of its assets. An unfunded actuarial liability can either be generated or increased in a number of ways, including enhancements to the pension benefits payable or the occurrence of actuarial losses. Actuarial gains or losses occur when actual experience of the system differs from the actuarial assumptions used to project the pension system funding requirements. An example of an actuarial loss would be if aggregate members' salaries increased considerably above the actuarially-assumed levels during the valuation period. An employer's contribution to one of the State's defined benefit plans covers not only the cost of basic pension allowances, but also future cost-of-living adjustments (COLA). * Additionally, an employer's normal cost includes premiums for group life insurance coverage for their employees. The State's normal contribution to the Public Employees’ Retirement System (PERS) and Teachers’ Pension and Annuity Fund (TPAF) also includes premiums for post-retirement-medical coverage. *Under a provision in P.L. 2011, c. 78 (Chapter 78), COLAs are suspended for all current and future retirees of all retirement systems. Under the State's defined contribution retirement plans, the pension benefits received by employees after retirement are dependent upon the cumulative contributions made plus earnings that have accrued on the contributions while they were invested in the plan. The employee is responsible for directing the investment of both employer and employee contributions into a number of investment options available to participants.